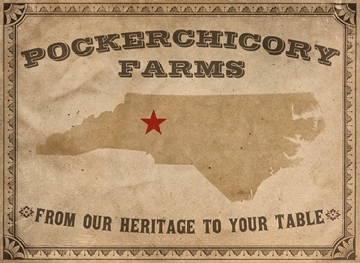 Pockerchicory Farms features Animal Welfare Approved pastured and forested pork. By late 2014 we will also be certified non-GMO. Our animals are given the highest ethical care and our practices are permaculture principled, beyond organic, low carbon footprint, land regenerative and restorative, and incredible to eat! !